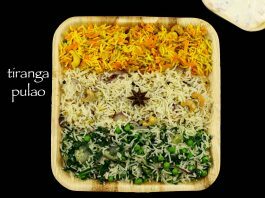 tiranga pulao recipe | tiranga rice recipe | tri-color rice recipe with step by step photo and video recipe. celebrate your indian independence day with this amazing medley of rice recipe. you would certainly enjoy the amazing taste of each tri colour recipe with its individual tastes. surprise your loved ones and importantly your kids with this colourful pulao for this independence celebrations. i should thank, one of my friend who gave me an idea to prepare something unique or a themed food for this august 15th india’s independence. 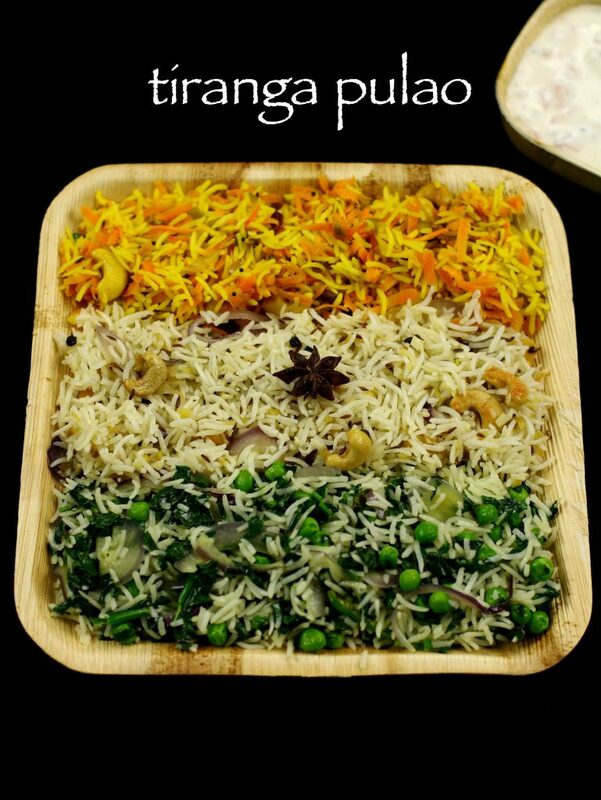 i was not that thrilled, but my husband was so excited by the idea and asked me to prepare the tricolour pulao. it was easy choice of ghee rice for white colour and carrot rice recipe for orange, however i did struggle to decide on the green colour part. but thank god there was a bunch of spinach leaves and i got the idea of preparing palak pulao. i have used 1 cup of almost cooked rice for all the three pulav. to prepare the almost cooked rice i used 1 cup of basmati rice and cooked with some salt and 2 tsp of oil. this method can be followed for any flavored rice recipe. do not over cook the rice, otherwise your pulao would be sticky and soggy. optionally, you can add some pepper and bay leaf while cooking, however i have skipped it completely. i have posted several other dinner recipes or lunch recipes in my blog. i have collection of rice recipes, especially, spinach rice, carrot rice, ghee rice, jeera rice recipe, tawa pulao recipe, veg fried rice, bisi bele bath, coconut pulao, puliyogare, capsicum rice, tomato rice, pudina pulao, mushroom pulao, sambar rice, coriander rice, lemon rice, curd rice, pudina pulao, tomato rice recipes. 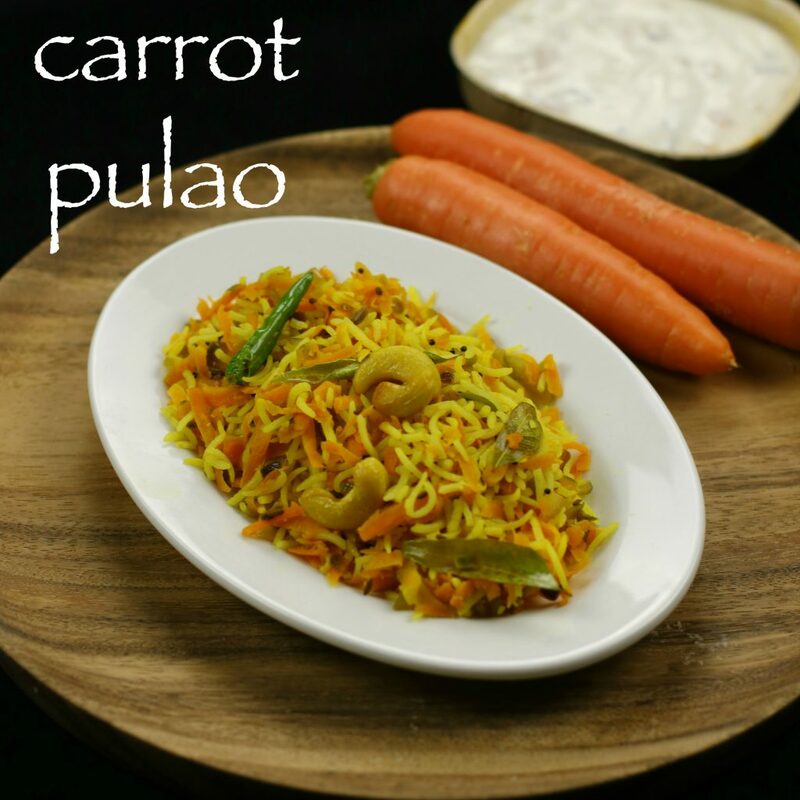 carrot pulao recipe with step by step photo and video recipe. 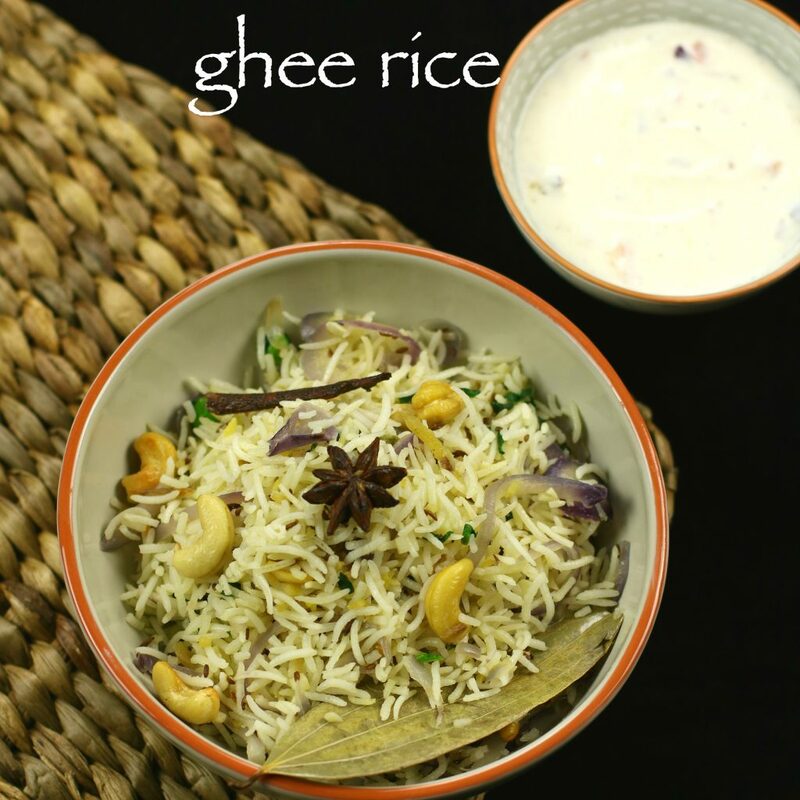 ghee rice recipe with step by step photo and video recipe. for the orange colour, you can use tomato rice recipe. for white colour you can use jeera rice recipe. 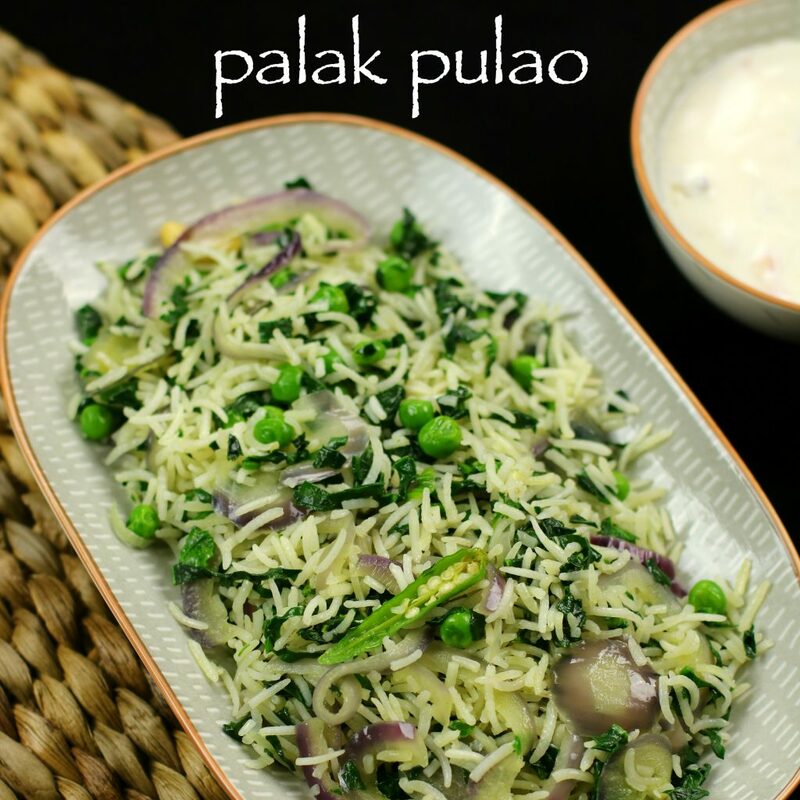 for green colour, you can use pudina pulao recipe. yummy recipes, n good use of food.